Andrew Everingham is a professional rugby player who plays for the South Sydney Rabbitohs team in the National Rugby League competition played in Australia. 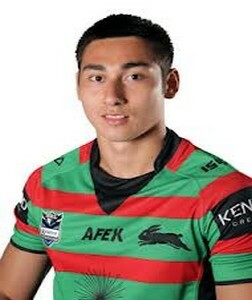 Before joining the South Sydney Rabbitohs team in the year 2012, he also played for the Manly-Warringah Sea Eagles team since he made his first junior professional rugby debut in the year 2010. Born on 29th January 1987, he has been given an extension contract by the South Sydney Rabbitohs team after the end of 2012 season for a 1 year period. The 189 cm tall player prefers to play in the wings in his teams formation on the field. He can also play in the centre position based on his teams needs for the match. Weighing 92 kilo grams, he has played 25 games so far in the National Rugby League scoring 16 tries in these games. This entry was posted in NRL and tagged Andrew Everingham, South Sydney Rabbitohs. Bookmark the permalink.